Vogue 1004--Front & Back Bodice with markings. gingham in the photo, but are visible in person. I left off in the middle of cutting out the sloper. Before cutting, there were measuring and calculating to determine the necessary adjustments to the various lengths and the waist and hip circumferences. Because I want the grain and cross grains of the fabric to be be evident, I am using gingham. To avoid distorting and shifting the grain, I cut each piece individually. It is important to flip the pattern piece for one of the two pieces or two right or two left could be cut. at the adjustment lines and seam lines--basically EVERYTHING. I marked each pattern piece using wax tracing paper. I marked the grainline, the seam limes, the length adjustment lines, dartlines, and all relevant information--including the pattern number, size, date and that it is for me. I may need this if I make another or if I need to compare. I used the wax markings to make thread tracings of the stitching lines in a contrasting color. 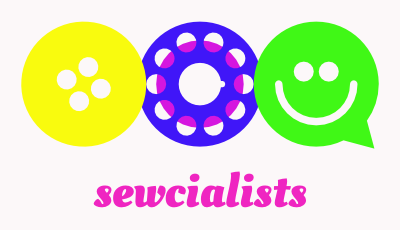 I used navy, because I had an old cheap navy thread that I don't want to use to sew, but just cannot throw away without a little guilt. I think I bought it in the 1990's at a drug store. It has a printed price of 59¢. I was tracing the darts, but I wasn't sure and stopped part way. So some of my darts are marked and some are not. The nice thing about thread tracing the lines is that it is easier to line up to baste or sew because you can feel where the seam line is. It is also visible from each side. Having the seam lines thread traced made it easier to find the seam lines since the seam allowances are different on the front and back. The front is left unstitched and has a 5/8 inch allowance, which seems narrow after having 1 inch allowances. The darts are sewn first. 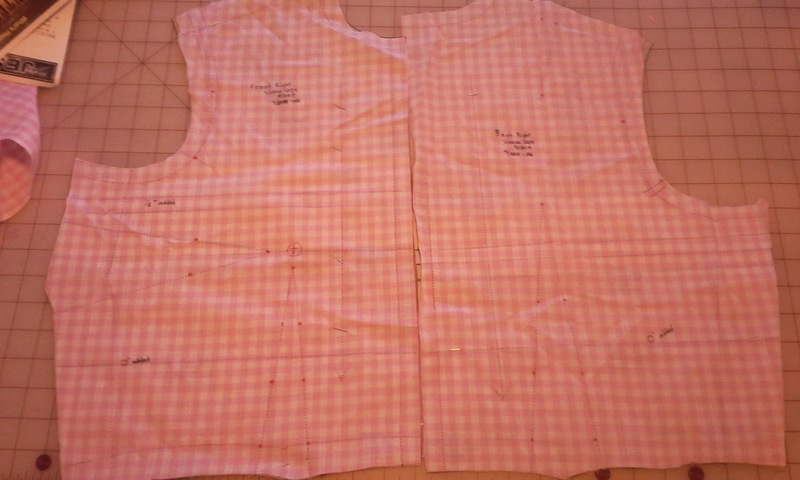 With the bodice, sleeves and skirt; there are 18 darts. Nothing like a little practice sewing darts! Normally, I wouldn't iron my stitching when making a muslin, but I did. I ironed them because the direction told me to and I am doing my best to follow directions on this. The darts are ironed down or toward the center. The bodice is sewn together at the shoulders, side seams and then the back. The skirt is side seams and back. Then the skirt and the bodice are sewing together matching seams. The sleeves don't go on before the first fitting. Getting into this was easy. Pinning shut, was not. Remember, there is minimal ease and without extra ease, it was awkward to pin myself in. I will not be able to make fitting adjustments without help, so this is as far as I am today. This is actually the middle of page 6 of 12. There is a lot more to go! If you have any fitting suggestions, please share. The bust line is a little low. Loose fabric under the bust. waist darts, but I didn't notice anything. Loose fabric above bust line. Waist is snug, but even. Lovely swayback lines between waist and hip. The skirt side seam is vertical and straight. The extra fabric under the bust is more apparent. I just had to dance! I am open to any constructive fitting advise. Nice! And so it begins...It's hard for me to see some of your reference point, but I can see the excess fabric above the bustline. Your side seams look perfectly in place, but I can't make out your shoulder seams. I'll be interested in seeing where you go from here. Thanks Vanessa. The bust line is hard for me to see across the back, but the waist and hip are right on. The back bust line looks a little low. I may need to remeasure. 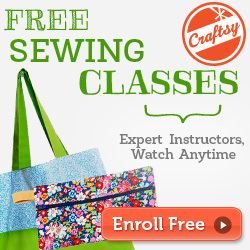 I am finding where I've had problems in my patterns based on the changes before cutting out. Great job, and good idea to use the gingham; I wouldn't have thought of that. I haven't yet made a fitting muslin for myself, but need to. I keep thinking I'd love to have a manni for fitting purposes - since, you're right....it's hard to make adjustments when you're alone! I wish I could take credit for thinking of the gingham, but I picked it o somewhere, maybe the pattern envelope? I have a dress form, but I can't get her neck small enough and the shoulders are limited. It's fine for something, but not enough for fitting for me. I encourage you to make a sloper/shell. It has been informative, even though I haven't finished. You have inspired me to break out my pattern and just do it also. I have been dreading the time but it will be so worth all the work. Love the gingham idea also!! I really love your blog! Thanks Vicki. I hope you do get that pattern out. Even though I haven't done the fitting adjustments, I can already see little things that I can do in patterns before cutting them out that will make a difference in fitting. I'd love to have you share your progress if you do it. Hi! 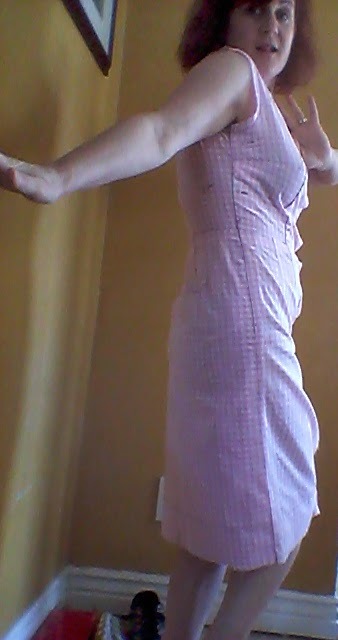 I did part of the Vogue sloper in a garment fitting class at a big sewing store in my area, years (and years!) ago. Now I am beginning it again. My figure has, um, altered :-( with age, as is usually the case. I finally got my larger size pattern and some blue and white gingham check fabric, and I've checked and re-checked measurements. I'm not sure if I want to enlist DH's help to review them, he is very OCD about such things, lol. Not sure if I can stand the scrutiny, haha. Your garment looks pretty darn good, to me! Tell me, did you find your bodice piece matched up with your commercial bra size/cup size, or did Vogue instruct you to use a larger size? I've had fitting problems in the bust area in commercial garments, but was pretty surprised that Vogue says I need the D cup pattern piece!! THAT also made me wonder, what does it mean that most commercial patterns are drafted for a B cup, since Vogue 1004 subs in a different bodice pattern? I suppose one answer to the questions will be seen when I compare the finished sloper, with some of my other patterns. Like you, Annette, I'm trying hard to follow the directions very carefully. In my class, I felt like there were some steps we skipped. The instructions seem to me to be better than I remember, so I think the 12 pages might be worth while! Thanks CarrieCat. I'm trying to figure out where I messed. I didn't want to enlist Mr. Toad's help because once when we were making calzone's he was measuring the dough with a ruler and wasn't satisfied until the dough was exactly the size the recipe called for--I understand the OCD! I must have messed up my measurements and will redo them. I think I lowered the apex but shouldn't have. Also, I seem to be in between sizes, but was supposed to use the B cup. It was snug, because it doesn't have you adjust the bust before construction. I am really frustrated with it and have been taking meds that force me to gain weight. I'm dropping it again, so I will try again...after remeasuring. I have a friend who said she will help, or my daughter might help. Let me know how it goes. I'd like to see your progress and results.